It’s Getting Better…We Just Don’t Know It Yet! As I tweeted a picture of something vile and sticky which had partially attached itself to my jeans on the top deck to National Express West Midlands, I thought about how much better things were recently. Indeed, a few years ago, the occurance of something vile and sticky on the upper deck might have elicited another sigh from me and a wish for better times. Now I feel the need to tell NXWM because it isn’t so commonplace. The current Which? magazine features an in-depth article about the best and worst brands for customer service. The very best is First Direct, followed closely by Lush and John Lewis. Winning scores are 83-87%. Much of the Passenger Focus research, although possibly not directly comparable, has the better bus operators in this ball park and even higher. (the worst out of Which’s top 100 was NPower – 57%). 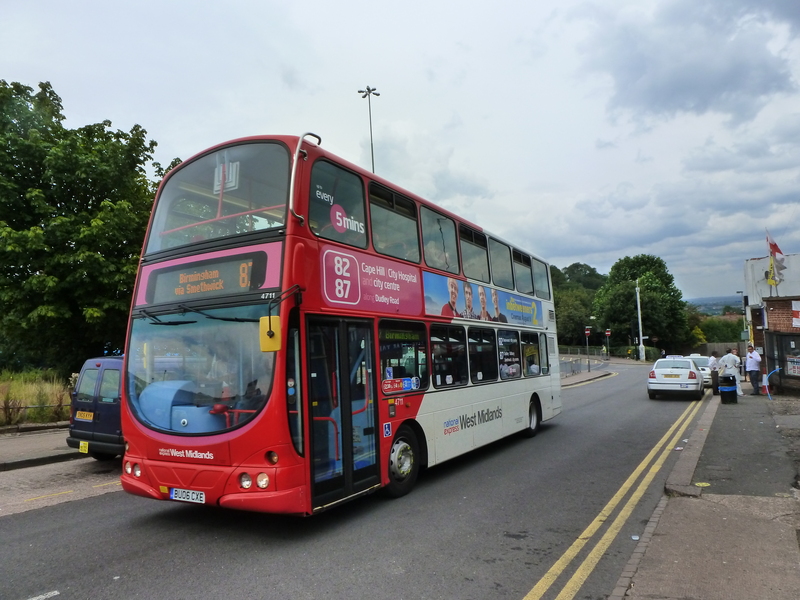 And yet…..Although the research does show improvements in people’s perceptions of buses in the West Midlands, we have some way still to go. Only this week I became embroiled in a discussion with a good friend, who’s daughter had missed her bus to college because it was on diversion. No information about this anywhere to be gleaned. The techno revolution had totally failed her. Notices were on the bus – but what if you hadn’t been on the bus? “Centro! Useless!” snapped my friend – even though the blame lies not only with them, but the operator – a small one who only recently set up a web site, but fails to update it. Who’s “fault” is this regrettable saga? Centro has been busy in recent years pushing the “Network West Midlands” brand as a one-stop shop for all things transport in the West Midlands urban area – and with some degree of success. People recognise it. But the “planned works” section of their website is minimal (only 3 entries at the time of writing – 2 of which aren’t roadworks, but diversions used when but when local football teams are playing at home). Does Centro not have the resource following a hefty budget cut in recent times? Does the small operator have the resource to employ a webmaster? Their website carries details of a route withdrawn months ago. And how about putting a notice on the affected bus stops? Nothing to see here – so might you reasonably stand there and expect a bus to come? That’s what my friend’s daughter did….It may well be that operators themselves take the lead in such communication, but I’m not even sure they can gain entry to the bus stop timetable panel – or if they have permission to do so. No one in this instance has taken the lead on communication and the passenger has been failed – even when they’ve gone looking for information! Technology is great – when it works. Today at the bus stop, I checked the National Express West Midlands “app” to see where my late-running 256 was. 3 minutes away, it said. It counted down – and appeared magically over the hill. Brilliant. And my friend’s daughter – a 17 year old student – like many others, embraces this techhy future. But if websites aren’t updated, it falls at the first hurdle. And what of the personal touch? A good news story today comes from Merry Hill bus station. A large crowd had gathered for Hansons 226 bus, which failed to materialise. Much concern at the stand, until Centro’s Bus Station Manager came across and informed everyone what was going on. Simple, human contact. And the good news is that there appears to be more of it going on. National Express West Midlands too have their Inspectors in bus stations wearing “Here to Help” Hi-viz. And they actually do! But incredibly, this is a recent-ish phenomenon. I’ve hung around bus stations for most of my 40-odd years, but, believe me, this sort of thing never used to go on. I used to moan about it in countless meetings with bus operators and Centro. So I’m pleased to witness more of this simple act of communication. 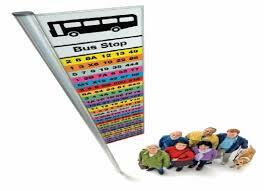 We need more use of the tannoy in bus stations to keep passengers informed. It happens in railway stations, so why not bus stations? Many a time I’ve been at National Express West Midlands’ nerve centre, where controllers watch the location of every one of their buses moving around as little blobs on a computer screen. And they actively radio the drivers to manage the service. So if this information is known, why can’t passengers know about it, quickly and effectively? This is my point. The bus industry, generally, IS getting better – despite all of the challenges it faces behind the scenes with concessionary pass reimbursements, and shrinking income from councils for tenders and rebate on fuel. The effort is there – you can feel it. But are the public at large feeling it too? New buses are one thing – snappy mobile phone apps another. However, it doesn’t take much to stir up the negative feelings about buses. Road congestion doesn’t improve – the late bus causes more negativity than can be “bought” with comfy seats and free WiFi. The sticky chewing gum on the seat stuck to your expensive trousers drives home that view, and stood at the bus stop when your bus is going down another road because of roadworks no one has communicated will drive a 17 year old into a world of learning to drive and another person lost to the industry. It is getting better – we just don’t know it yet! Walsall Councillor Richard Worrall is a bit of a Dad’s Army character. He certainly knows his onions when it comes to defending the concessionary bus pass. Formerly the Chair of WMPTA (Centro), he’s certainly kept his hand in when it comes to transport. In recent times, he subsidised an evening tendered service out of his own Councillor’s allowance, to prove its need. Now he’s in the local news again, collecting signatures for his “Love The Bus Pass” campaign, through the National Pensioner’s Convention. As if David Cameron hadn’t got enough to think about with the rebelling Scots, Worrall is planning to turn up at 10 Downing Street with 150,000 signatures to his campaign. This is no mean feat. No “easy clicking” on an online issue, these are “real” signatures, collected throughout the country from pensioners uneasy at talk from some politicians that suggests a possible rethink on the free bus pass might be forthcoming. The press release states “England’s Grey Army Mobilises To Defend The Bus Pass” – an image that surely delights regional newspaper editors England-wide. Here is a true “grassroots” campaign which goes to the heart of some perceived threat to chop at something thoroughly decent for short-term gain. Of course, we won’t know for certain which political party leader will dare to take on the “Grey Army” until the manifestos are released ahead of next year’s General Election. Who might be so stark-raving bonkers as to threaten this most cherished of benefits for our older citizens? I’ve talked about this before on this blog. It was 2008, back when Gordon Brown was Chancellor, that we saw universal off-peak free travel introduced. Some of the cynical amongst us may have considered it a vote winner, but actually, it was (and still is) a decent thing to do. It performs both a social function in getting the older generation out and about, and a economical one – when people are out and about, they tend to spend money. And since day one, it hasn’t been funded properly behind the scenes. Bus operators were supposed to be “neutral” in all of this – no better or worse off for carrying pass holders. But innocent bystanders they are certainly not! The reimbursement still varies quite widely from area to area as to what they receive. It is increasingly a challenge for operators to make ends meet with other cuts to income. “We’re all in this together”, Dave reminds us at regular intervals. But pensioners have been largely shielded. Now, there’s nothing wrong with that, but when the sums don’t add up, someone else feels the pinch. As the pips start to squeak, there’s only one viable path to take. Put the cash fares up to compensate. Some operators readily admit this. And it’s people like me, who travel for leisure, work and all sorts of reasons, who are the “pips” here. I’ve been riding buses for fun for years. (and professionally, of course!) I write about the good and the bad, but one thing I spend most of my spare time from work doing, is encouraging more use of buses. Because they make sense. More people on buses equals less congestion, less pollution, less stress. Get the ducks lined up in a row of bus priority, simple, frequent timetables, reliable buses, clean interiors, value for money fares – and Bob’s your Uncle. Urban areas quite often achieve good things, but step away from the City into smaller towns and more rural locations, and you start to see just how many services are increasingly on a knife edge financially. Last week I enjoyed a splendid run between the delightful Worcestershire town of Evesham to the Shakespearian delights of Stratford-on-Avon. A run of around 40 minutes through quaint country lanes and quintessential English countryside. I joined around a dozen other passengers on this Stagecoach-operated journey. Whilst they performed the familiar swipe of the pass and accompanying bleep of success, I was relieved of a crisp £5 by the driver. No change. Now, of course, all this is relative. A taxi would no doubt have cost a lot more. A car journey similar in petrol costs. But it is the very process of handing over this cash that may well be off-putting to irregular bus passengers who don’t have the benefit of yet reaching the age where the bleeping and swiping can begin. You can hear the conversations across middle England now – “£5 for THAT?” Of course regular passengers may well benefit from weekly passes – and Stagecoach are masters of this. Day tickets aren’t that much more either. But a single journey is where some of the worst offending prices lie. And I can’t help but think that all of this is being led by the necessity of having to accept the “free” pass. Don’t think for one second this is “us” – the ever-dwindling bus passengers who still have to pay – versus the “free” pass holders. It most certainly is not. And don’t also think that I am in some way suggesting that we should curb the free pass in some way as a short-term response to the economic situation. When Richard Worrall stands on the steps of 10 Downing Street with his 18 ring binders of signatures, I am with him – in spirit – every step of the way. The answer, for all the politicians who look at this, is to recognise what the bus does. Not only for pensioners and the economy, but also for everyone who chooses to travel this way. Because the “free” pass isn’t funded properly, others are bearing the brunt and it is off-putting for them financially at a time when we should be getting more people on buses. So my message is: meddle with the concessionary pass at your peril. But recognise the true value of it and fund it appropriately. For the benefit of ALL bus users.